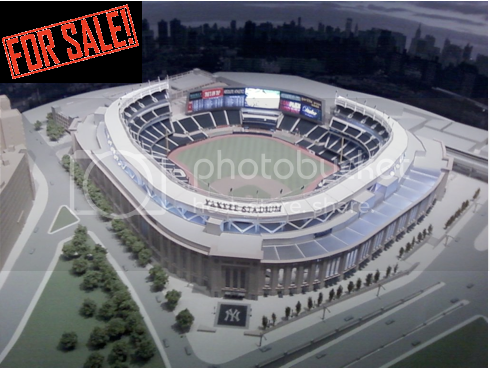 It was once unthinkable to conceive that the Yankees would sell naming rights to "the house that Ruth built." Of course, the new stadium might make you rethink a lot of your traditional assumptions - for good and bad (esp if you're in one of the $2,600 premium seats). We know that many of the sports leagues are pushing the envelope to peek the interest of more partners, not least of which is the WNBA, which as Terry Lefton recently reported, may sell ad space on their uni's, a rare move for a professional sports league in the Western hemisphere. But we're talking Yankees stadium? Are times that bad (-tongue in cheek-)? It may be more of a likelihood than you may think - the Yankees, rep'd by CAA to sell sponsorships to the new stadium since the new pinstripe palace was announced, were in discussions with Bank of America last month about an unprecedented deal that would have by reports topped Citibank's Citi Field price tag although it was denied that naming rights to Yankees stadium were involved in the proposed deal. B of A, in the wake of the current crisis, took a step back. Are the pinstripes considering a naming rights deal and/or should they be? Jeff Kalafa at BleacherReport.com thinks so. The pressure's on. Ticket prices are up an average of 76% in the new stadium and the team has taken a lot of heat over empty seats early in the season. Now lawmakers are taking a closer look at the funds used to build the new stadium, which city officials have maintained has been entirely self-funded. Last week a New York judge has ordered the Yankees to provide financial records sought by state lawmakers investigating the use of public funds to help build the stadium, or prove the records should remain private. Not that the Yankees would ever follow another sports franchise - ANYONE - but, just in case, there's an interesting parallel in the NFL. 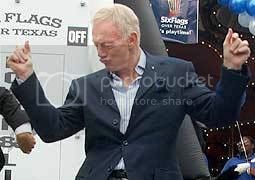 The Cowboys' Jerry Jones seems to be dancing with some of Texas' telecomm and energy companies - to the tune of at least $20 mil/yr we hear. And according to Forbes, the Cowboys are the world's most valuable franchise at an estimated $1.5 Billion. One thing is for sure, if either of these deals do get done, it will be a long term deal with a stable "megabrand." There will be a long courtship so as to avoid the mistakes of other recent deals that have tarnished the image of the rightsholder when the naming partner encountered difficulty. "You don't want to be changing the name of your stadium in five years," Millsport exec Jim Biegalski said.